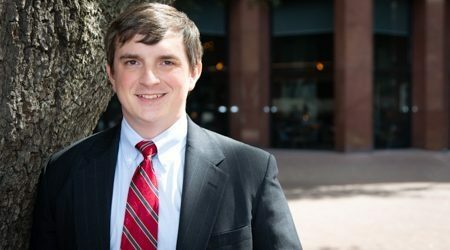 Tripp DuBose is a member of the maritime group in Galloway’s New Orleans office. Tripp’s practice is primarily focused on admiralty; representing vessel owners and operators, energy companies, offshore contractors, terminal operators, and marine underwriters. Tripp has litigated cases across the spectrum of the maritime field, including maritime death and personal injury, vessel arrests, collisions and allisions, defense and indemnity, insurance coverage, limitation actions, maritime liens, marine pollution, charter disputes, vessel sales, ship building, marine products liability and vessel mortgages. Tripp also advises his clients on various transactional matters including, charters, master service agreements, vessel sales, and defense and indemnity obligations. Tripp’s litigation experience allows him to anticipate the different risks posed by transaction and protect his clients before the contract is signed. Tripp has been named to the Super Lawyers Rising Star list for the maritime field in Louisiana. Tripp is admitted to practice in all Louisiana state and federal courts. Tripp received his Juris Doctorate from the University of Alabama School of Law. While in law school, Tripp was inducted into the Bench and Bar honor society and served on the managing board of the Journal of the Legal Profession. Prior to law school, Tripp received a Bachelors of Arts in History from the University of the South, where he was inducted into the Order of the Gownsmen. University of Alabama School of Law, J. D.
The University of the South, B. A.